We’ve been having so much fun with math and science, that a reading-related activity was LONG overdue. Identifying word families is a great way to advance your child’s reading. To practice these, I drew up a bare tree and added some word endings to the three main branches. Then I used a big leaf-shaped punch to make small maple leaves, on which I wrote the beginning sounds. All that was left to do was have my son match up the letter leaves to the right word family! For a little writing practice, I had my son write each word in his journal as a list. 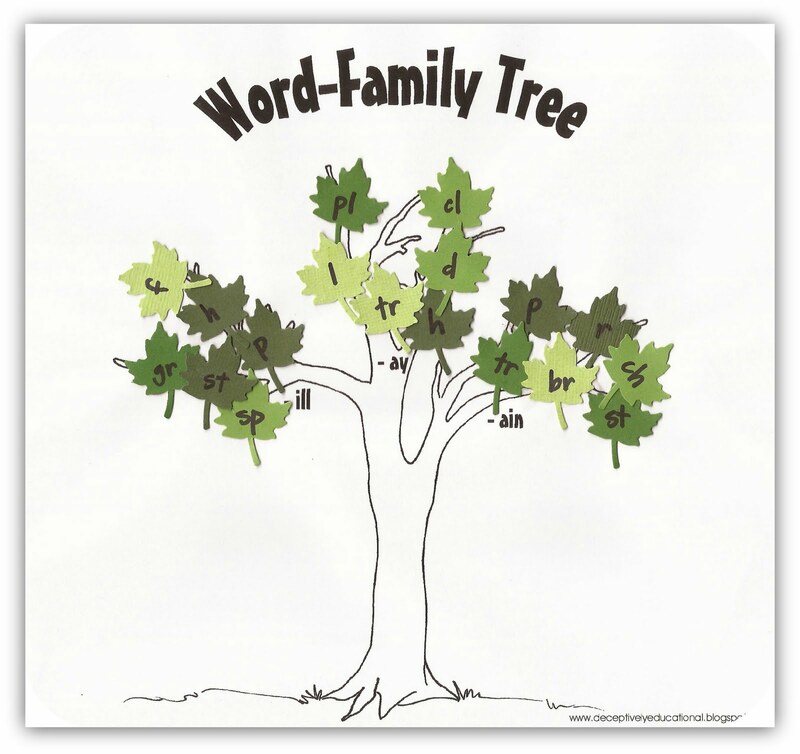 I made five Word-Family Tree worksheets; download the free PDF via Google Docs here. 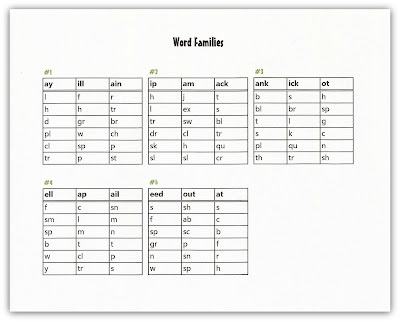 A list of the word families is also available here. Wouldn’t this be awesome to do with leaves punched from papers in fall colors? Or to make flowers with beginning sounds written on the petals, circular tentacles on an octopus … ok, ok, ok, I’m getting a little carried away. But, seriously, this idea could be repeated with SO MANY variations and if you’re a teacher, wouldn’t a forest of these trees hanging around your room or on your bulletin board be super cute?!?! I love this. 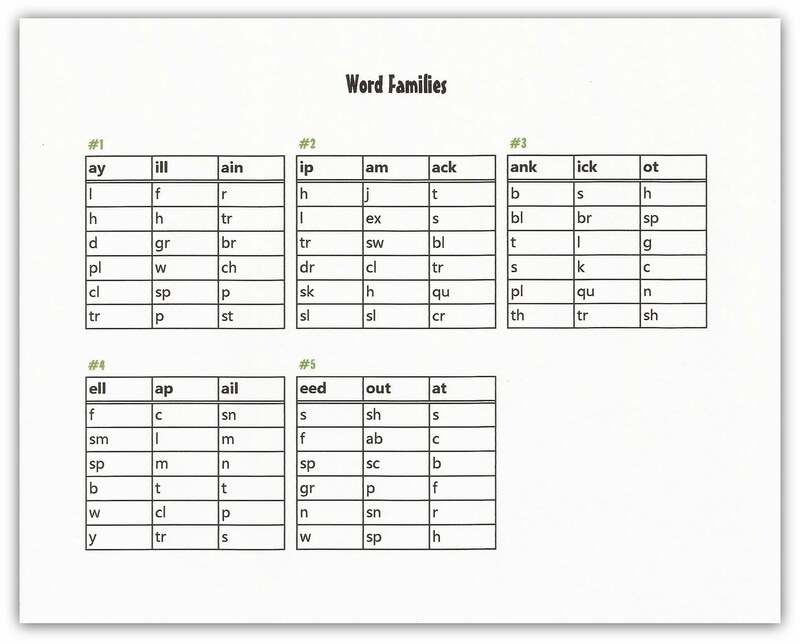 It is a great way at looking at word families. 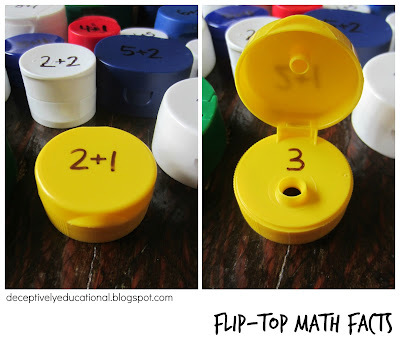 I use them all the time in tutoring and I love finding new ways to introduce them! This is a great idea! It's so visually organized; I love it. Thanks for sharing!